First the computer reads a number from the user. 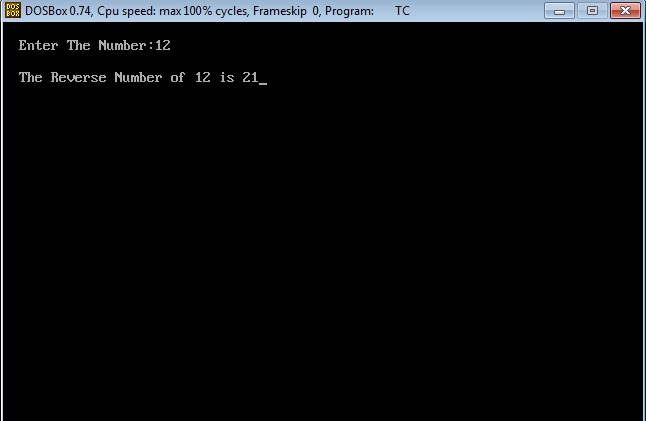 Then using while loop the reverse number is calculated and stored in the variable ‘s’. Finally the reverse of a given number is printed. Let us assume a number entered is 123. 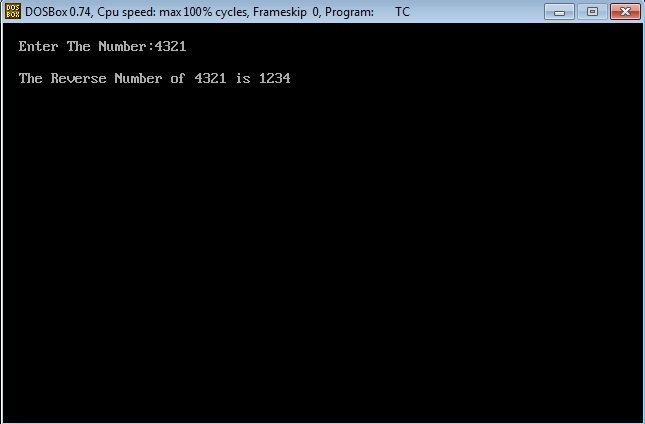 It comes out of the while loop and prints the reverse number which is stored in variable “s”.